Often we have no idea just how much power resides within us. We are too focused on the temporal cares of this life to realize we can do GREAT things if we used what is readily available. In the passage above, Jesus is saying to his disciple (who has whipped out his sword, ready to fight and defend Jesus) I don’t need you to fight for me I have angels to use as I please. Not just 1 or 2 angels; but legions of angels. To understand the magnitude of the word let’s go to the dictionary. a unit of 3,000–6,000 men in the ancient Roman army. a vast host, multitude, or number of people or things. Ok, now you get the picture. Jesus has an army of angels just waiting on his command. We know from earlier that when Jesus was in the wilderness (Matthew 4) after he tells satan to “get away from me” ANGELS came and attended to him. Jesus is SHOWING us something here. He has help at his disposal, and so do we! Have you called on your legion? Have you used the Army assigned to you to attend to your needs? Ever looked up at the sky and tried to make shapes from the clouds? Many people see different things. 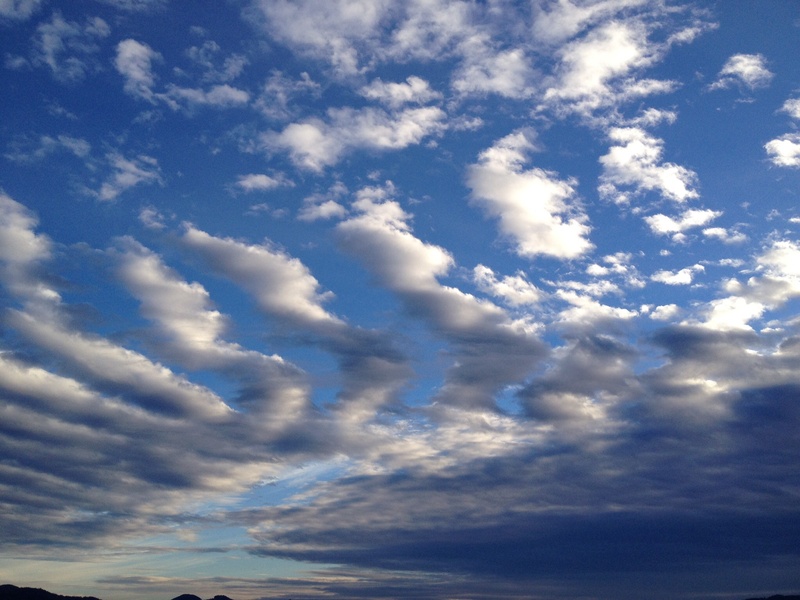 Could those shapes be more than cirrus and cumulus clouds? Could they possibly be your legion, waiting? If you believe that Christ lives in you, and you have been given authority to move mountains, then believe you have a legion of angels at your disposal. Today, I am dispatching my army to fight the battles I cannot win on my own. I am using my internal RED phone and pushing my own HELP button. Angels, get ready! I’m sending you forth.